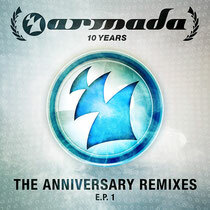 Celebrating their 10-year anniversary, Armada Music is to release a set of brand new remixes of its classic highlights in ‘The Anniversary Remixes’ series, released on 2 December. Volume 1 kicks off with a Sick Individuals take on Jerome Isma-Ae’s ‘Hold That Sucker Down’, a prog-house twist of on Binary Finary’s ‘1998’ and a techy mix on Three Drives’ ‘Greece 2000’ by Richard Beynon. Have a listen to ‘Greece 2000’ below.